This article first appeared in The Edge Financial Daily, on September 19, 2018. The report late morning yesterday by the Free Malaysia Today website that Attorney-General Tommy Thomas had resigned came as a shock to editors of The Edge Financial Daily (TEFD) and Malaysiakini as the country’s top law enforcement officer, just last Thursday, gave a joint interview in conjunction with his first 100 days in office, to be published this week. Thomas called TEFD shortly after Free Malaysia Today (FMT) published the news to say it is not true. “That’s absolute nonsense. 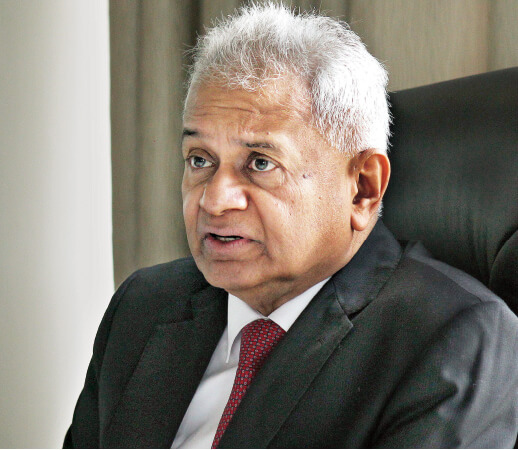 I have not resigned,” the attorney-general (AG) said. FMT subsequently withdrew the story which it had attributed to an unnamed source. Whether it is a genuine mistake by a misinformed source or anything sinister, no one except FMT and the source will know, but Thomas’s appointment is certainly a surprise and controversial because of his ethnicity and background as a well-known critic of the government, including when Tun Dr Mahathir Mohamad first ruled from 1981 to 2003. Whether it’s 1MDB or not, there is a long list of cases waiting once the IPs (investigation papers) are delivered to me. Even if you have 1,000 world-class prosecutors, it’s just not enough. That tells you — it’s a commentary on the alleged crimes built up over the years. So, the pressure is awesome. That’s why we’re setting up the 1MDB unit; we’re setting up different units to cope, because we’ve never done this before. If the AGC had done this from 2011 ... if prosecutions had taken place from 2011 or 2012, then it would not have built up. Just to get it in relative terms, please look at the US. Their DoJ (Department of Justice) is obviously world-class because they have so many talented people — forensic accountants, lawyers ... unmatched resources; look at how special counsel Robert Mueller and his team are doing. It took more than a year before they charged anybody. Then they went very fast; they’ve charged, I think, about 20 people in the last three months and they have got a few convictions. But it took them one year. And I tell you, the 1MDB scandal is much, much more complex than what [US President Donald] Trump has allegedly done. 1MDB is the world’s greatest kleptocracy! A: No, I don’t think so. I think ... well, the US ... well, maybe. It goes asset by asset. They are ‘in rem’ actions. A: No, I’m still absolutely in charge. Like, for example ... the Shafee prosecution. The MACC team interviewed the witnesses. Sri Ram was involved in the final stages of investigations. I was involved in the preparation of the charges with the team. The final decision to prosecute is mine, and mine alone. Malaysia must use all the resources available to pursue such matters.